Your feedback wanted on proposed changes! For more than 50 years, METCO has enrolled children of color who live in Boston in available seats in racially isolated suburban schools, using a rolling wait list of eligible families. More than 8,000 Boston parents are currently in line for approximately 300 openings per year. METCO headquarters is proposing a new process that will be more transparent and equitable. The proposed process will give all Boston resident families with school-age children of color equal opportunity to be enrolled in METCO. Please read below and share your feedback on the online form at the bottom of this page. 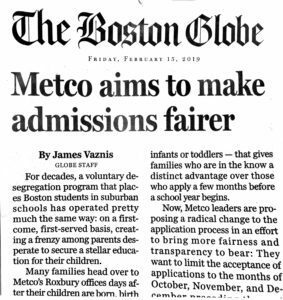 In the current system, many parents who know about METCO and the waitlist sign their children up as early as the first weeks after birth. Anyone moving to Boston with older children would have a later position on the wait list. Parents have to come to METCO headquarters in person during business hours. Under the proposed new system, applications for all school-age students would be accepted during a designated, well-publicized time of the year. The applications could be submitted online or in person. At the end of the submission period, everyone eligible would have an equal chance to be referred to a suburban partner school. 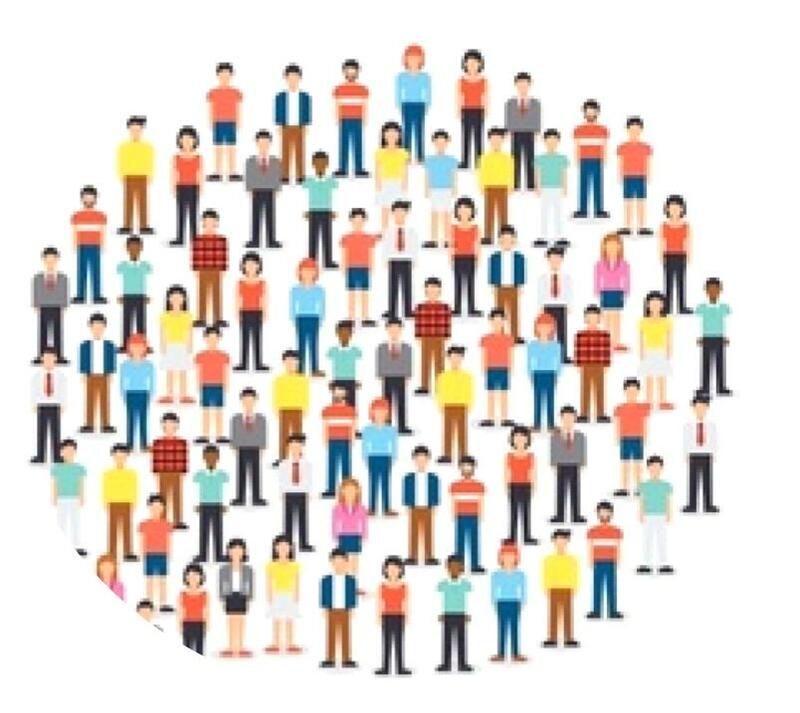 A fair enrollment process would honor everyone who follows procedure and is eligible equally (not based on when they applied). Questions? Concerns? Suggestions? Applause? Fill out the feedback form and click SUBMIT.